Whew…what a month it’s been! I have not been stamping very much lately due to a pesky little kidney stone that was causing a lot of pain and a blockage in my kidney. I discovered that I had this stone at the beginning of November and the month ended with me finally having it removed. Unfortunately it took several weeks for the doctors to discover that it was not going to pass on it’s own! All I can say now is that I am SO happy that it is over and hope to never have to endure that again! All of this meant that I was not stamping at all. 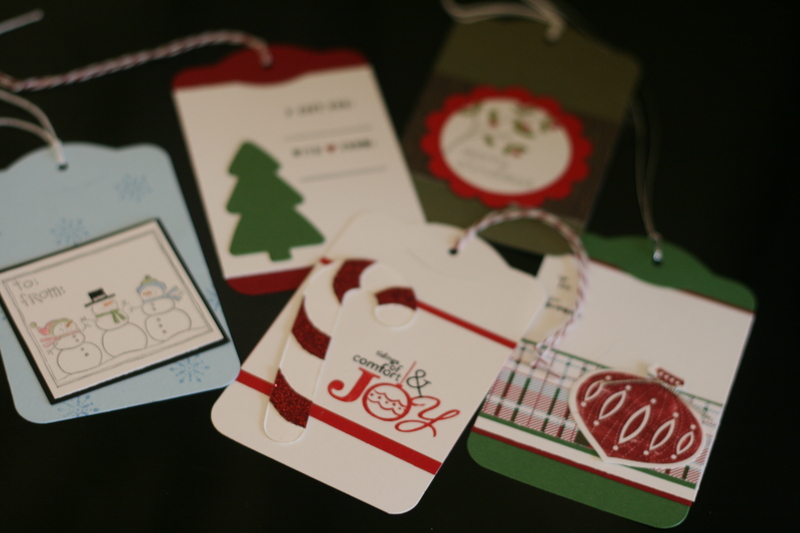 🙁 I have finally gotten back into the swing of things a little bit and wanted to share a few Christmas Tags that I created. 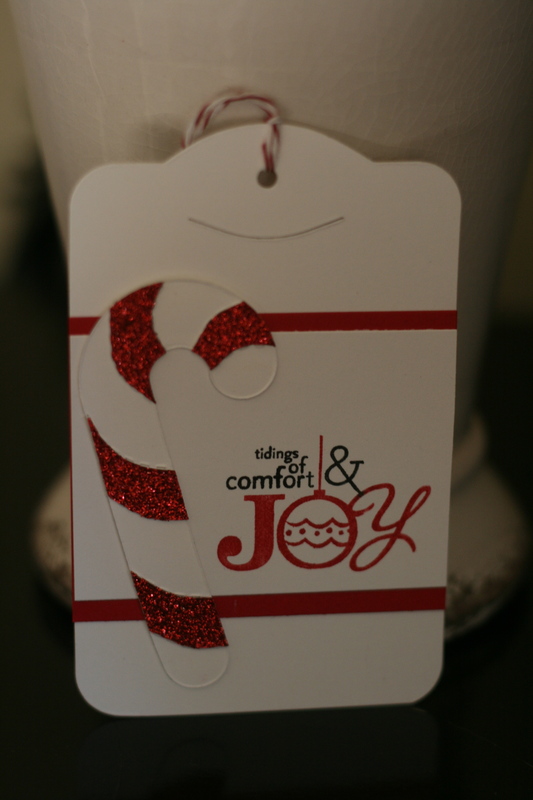 These are fun little tags to make and I just love how they dress up a package. 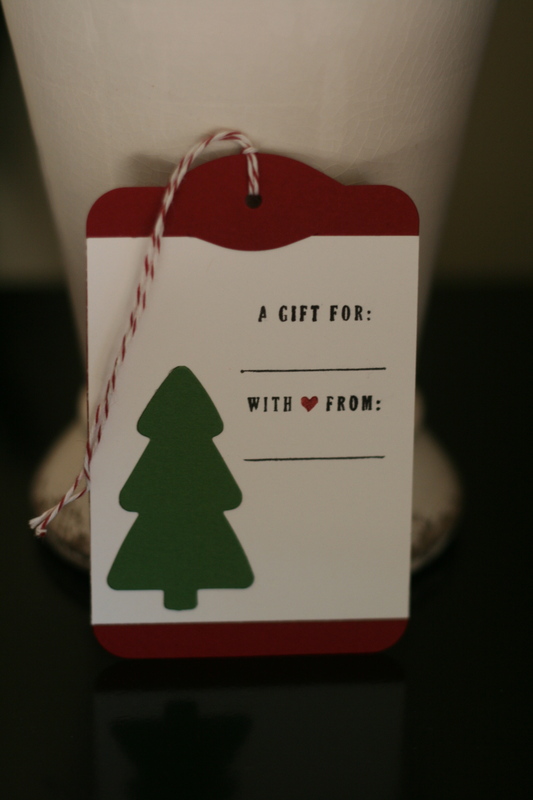 I love adding special little touches like a tag to my gift. 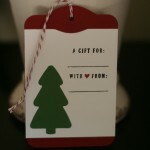 You could even make up a bunch of these tags and give them to someone as a gift. Who wouldn’t love a package of these to use on their own presents?! Here are a few close-ups of some of the tags. 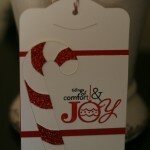 I used the Two Tags Die to cut these out and added the embellishments as I pleased. The bakers twine worked great with these tags as well. I hope you can take some time to make your own special tags!